Mobilunity, a global provider of Ukrainian based, dedicated development teams, is thrilled to announce that it has been recognized as a Global Leader in Clutch.co’s 2018 Annual report on the top IT and business services companies. This year’s report recognizes 250+ companies, across various categories, based on their proven ability to deliver, and the consistency of their customers’ reviews. The Mobilunity team believes that its dedication to both building relationships around transparency, sustainability and most importantly results, is what led to the company’s inclusion on the list. 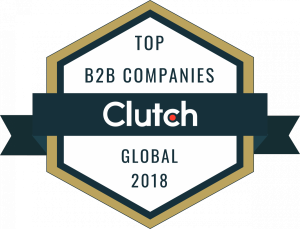 Additionally Mobilunity has been listed as one of the top companies in Clutch’s Staff Augmentation category. We know that our clients are looking for tech-savvy talents to match their professional needs and fulfil their business goals. Clutch provides them with the best service description based on real feedback and reviews. It is so exciting to find Mobilunity among the top IT business service companies, as it proves the value of our commitment to flexible approaches, and client-centered services ,and gives us motivation for constant improvement! – commented Cyril Samovskiy, CEO at Mobilunity.